Sound simple enough? Here’s how to do it. You can always tweet to us too! 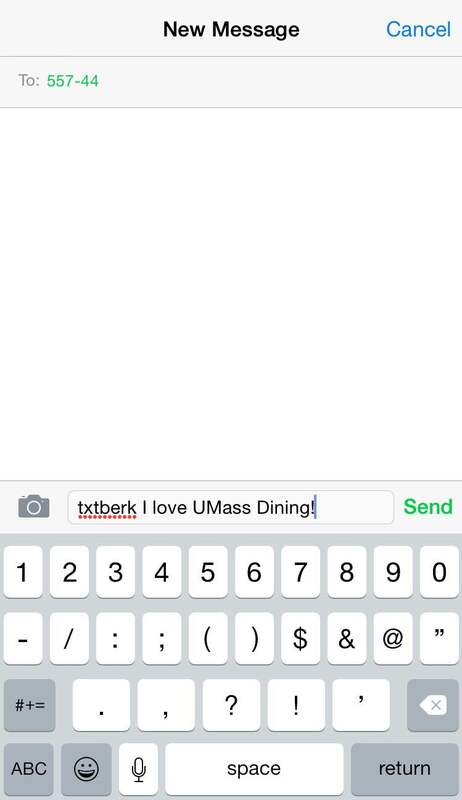 All you have to do is hashtag your dining hall’s code (#txtberk, #txtfrank, #txtwor, #txthamp), write your comment, and send it! Easy as that. 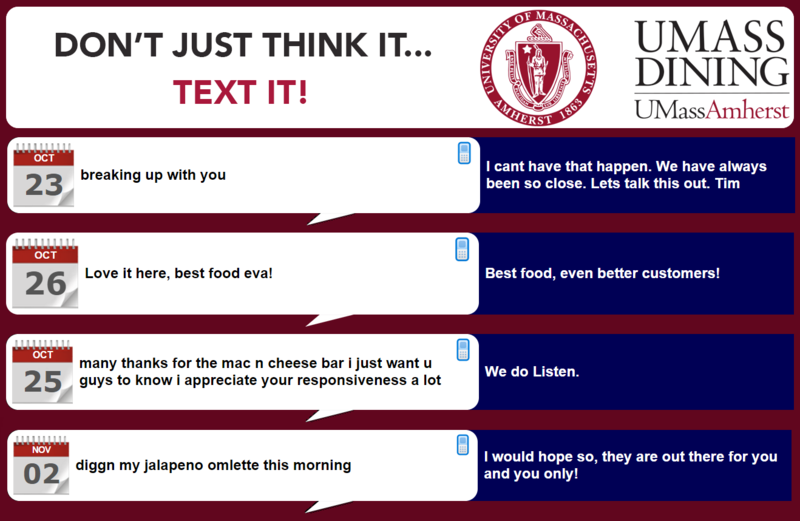 There’s a reason why we are in the top two of America’s best dining programs: because when you ask, we listen! Keep on texting! Note: In the past, we used to use a rating system where students sent in numbers corresponding to their dining experiences, however, we no longer offer this option because we want to hear your specific comments/concerns!